Many a time we find us in that tight spot when we have to buy some income tax saving instruments at any cost and without much consideration. Decisions taken in such a situation could be detrimental to our long-term financial health. To save income tax always choose long-term financial instruments. If your income is not volatile and you do not expect your annual earnings to go down substantially in the coming years, opt for financial products in which you have to pay for longer-term in a disciplined manner. The benefit will be the you would not have to go for income tax savings plan every year. In the following years you will only have to plan for increased taxable income. Regular pay life insurance products fit this bet beautifully. Planning for life stage needs and tax saving long-term financial instrument are complementary: It has been observed that life stage needs can be very well served through income tax efficient long-term financial products. That is why it is important that we review our life stage needs and how financially prepared are we to meet those needs. We should opt for tax saving financial products only for those long-term needs where we find gap in our financial planning. While buying the financial product, we must keep in mind that while serving your life stage need it should provide income tax benefit also. All long-term products do not provide income tax benefit. To give an example, to get income tax benefit from life insurance products it is mandatory that the sum assured should be ten times the annual premium. Or maximum limit for income tax exemption in New Pension Scheme is only up to Rs.50,000. To know such details it is important that you discuss with income tax expert now than at the time of filing of return. Buy income tax saving plan in first two months of the last quarter of the financial year. This suggestion is more important for those in service as they have to submit the proof of investment in their offices. If they are not able to submit the proofs in time, their office will deduct income tax from their income. In such a case, they will have to get the additional income tax paid by filing income tax return . This may sometimes take long. The last advice is that do not buy any financial product just to save income tax. Whatever financial product you may buy, should first and foremost be meeting one or more of your life stage needs. It has been observed that many a time people buy a financial product in haste to save income tax and few years later get out of it at a loss. This completely negates the income tax savings. You must save income tax but make it a thought through process. Because short-term advantage many a time do not result in long-term benefits. 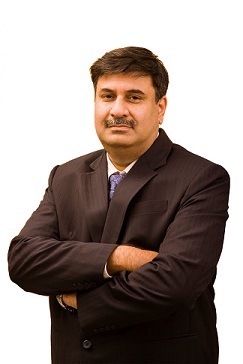 The author is Mr. Ashish Vohra, Senior Director and Chief Distribution Officer, Max Life Insurance.